Saturday, July 19th, on a gorgeous, flat, calm day out on the lake, Milky Way Fishing Charters ran a trip for Saiff Charters. The guys not only had one of the best weather days Lake Ontario has to offer, but they had a pretty good day of fishing on top of it! The fishermen caught their limit of Lake Trout along with 1 Brown Trout and topping the day off was a catch of a beautiful summer Steelhead as a really nice bonus fish! Another great day of fishing along with enjoyable weather on Lake Ontario was experienced by all! Great Day on Lake Brings Great Day of Fishing! 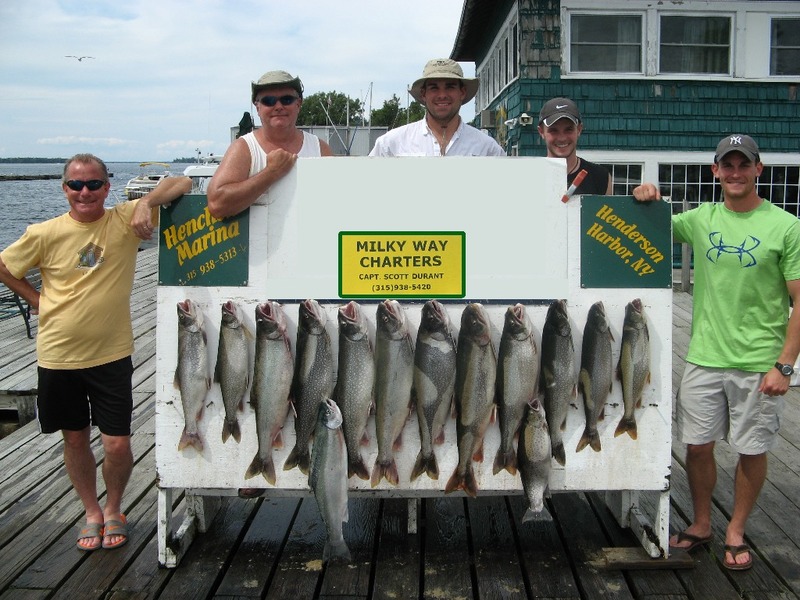 On Friday, July 18th, Milky Way Fishing Charters ran a charter for Captain Scott Lennox. The lake started out pretty choppy in the morning but settled down which is pretty normal for the variety of seas the lake can offer. On the same note, the lake can produce a variety of fish as proven on this day of fishing. Two-Day Mixed Bag of Weather Produces Nice Bag of Fish! 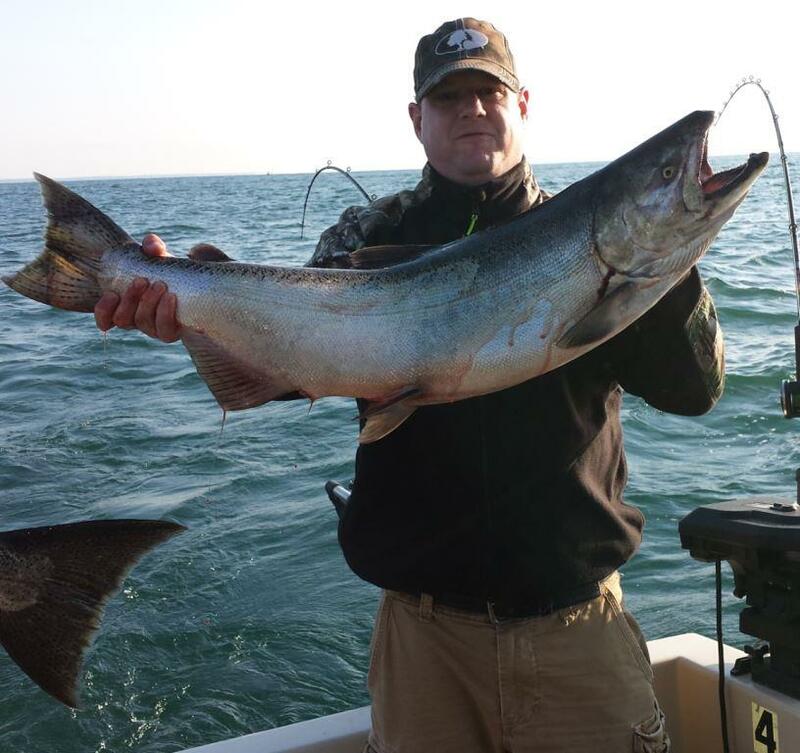 After working on a 2-day multiple boat charter for Saiff Charters, the fishermen got to experience both the good and bad of Lake Ontario. Saturday, July 12th, was a beautiful sunny calm day out on the Lake while Sunday, July 13th, served up wind, rain and continuous 4-5 foot waves with 6 footers towards the end of the afternoon.